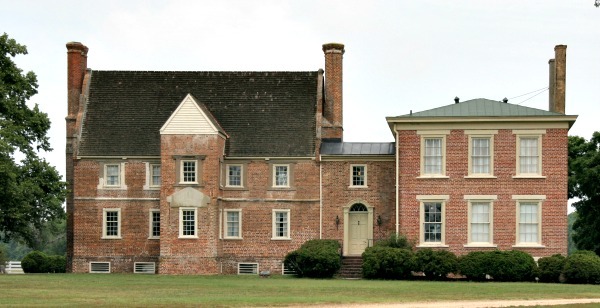 Bacon's castle is the oldest brick building in Virginia. Built in 1665 by Arthur Allen, it is a very rare example of Jacobean architecture. The house was nicknamed the Arthur Allen house or Arthur's brick house by the locals, as it was the first brick house in the area, though the original structure was an all wood house which later incorporated the brick work. During Nathaniel Bacon's rebellion in 1676, the house was occupied by his followers for the last three months of the year. The house was then known as Bacon's castle from that point onwards, even though Nathaniel Bacon never lived there or even visited the house. Today the house serves as a non-profit tourist attraction and holds regular historical tours and ghost tours. It is an official preservation Virginia historic site and a very impressive building. If you are ever in the area of Surrey it is definitely worth a look around to see the surprisingly well preserved artifacts and unique architecture. With buildings this old its quite normal for people to come up with ghost stories about them, especially if they also look the part. But this place seems to have earned its haunted reputation from the terrified people who have experienced something there. There are an unknown number of ghosts which manifest in the castle. The only one which has been seen as a full on apparition is that of a young woman who was seen by one of the wife of one of the properties owners. She described the sighting as a women with a kind face and black hair and wearing a white scarf round her head. There have been a few other claims of this sighting but its definitely one of the rarer experiences from the castle. She hasn't been seen in the last few years but whether she is responsible for the other activity here is unknown. Most haunted places have orbs, either when they can be seen clearly in person or only show up on photos is quite a common thing with haunted places. The interesting thing about this place is there seems to be only one orb here, larger than normal orbs averaging about the size of a football. It has been seen in both photos and by visitors to the site, though it seems to behave like a normal orbs does, slow moving or only flickering into vision for a second. The only other thing which has been reported at the castle a number of times is the moving of objects. Whoever has chosen to remain here seems to like things were they want to put them. A heavy book stand has moved itself across the room before, and a shattered globe has been found as if it were thrown across the room when the house was empty. Moving books are also a common occurrence with dictionary's being the favorite. They have been found a number of times opened up and placed neatly on the sofa or desk.